Our Little Hoopers program is designed for Pre-K-2nd graders who want a true introduction to basketball fundamental skill work and gameplay. Little Hoopers is fun and challenging and will teach your younger player the correct way to play the game from the start! Our eight-week sessions are divided into 75-minute durations that include a thirty – forty-five-minute skills training session followed by 3 on 3 play. Fundamental skill work and drills include basic ball-handling, shooting mechanics, offensive principles (i.e. cutting to the basket), man-to-man defense, teamwork, sportsmanship and more! 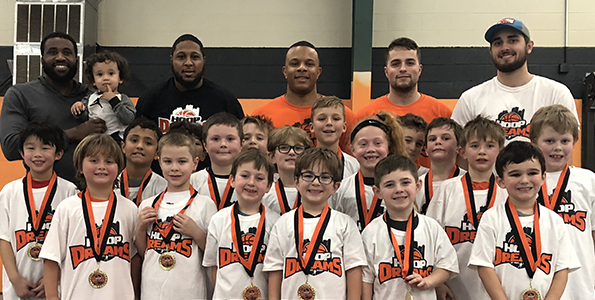 Our Little Hoopers improve so much over the course of each season, setting them up for basketball success for the years to come! REGISTER NOW FOR OUR SPRING ’19 SESSION! COST: $129.99 + Tax | Little Hoopers is capped at 32 players for quality player experience & development.